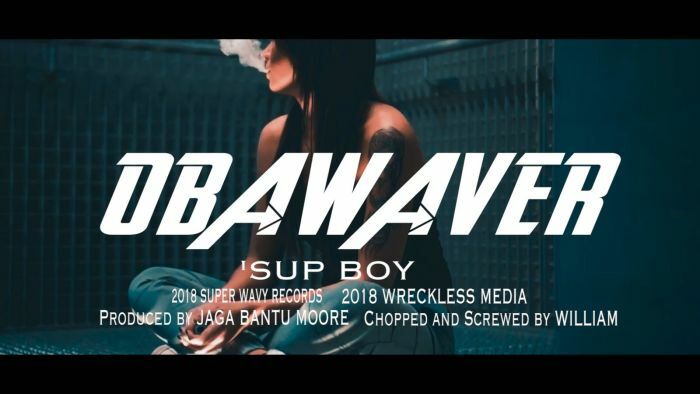 Download Music Mp3 titled ''Sup Boy'' By Oba Waver, the song was produced by Jaga Bantu Moor, Click the below link to download and listen to Sup Boy. The long wait is finally over, the New King “Oba Waver” is Here. “Oba Waver” is the CEO of SuperWaveyRecords which houses Surprize, Candi and C1. The rapper wildly regarded as a young OG is about to change the game with a new sound, he says he has a “New Wave” that also takes his listeners “back to the 90’s”. He drops the first single titled “Sup Boy” produced by his long time associate Jaga Bantu Moor. This song is already turning into an anthem since being leaked a couple weeks ago. Big Tune!